Just based these today so I thought I’d take a picture. Obviously this is a Devastator Squad. This is about the limit of my painting skills thus far. 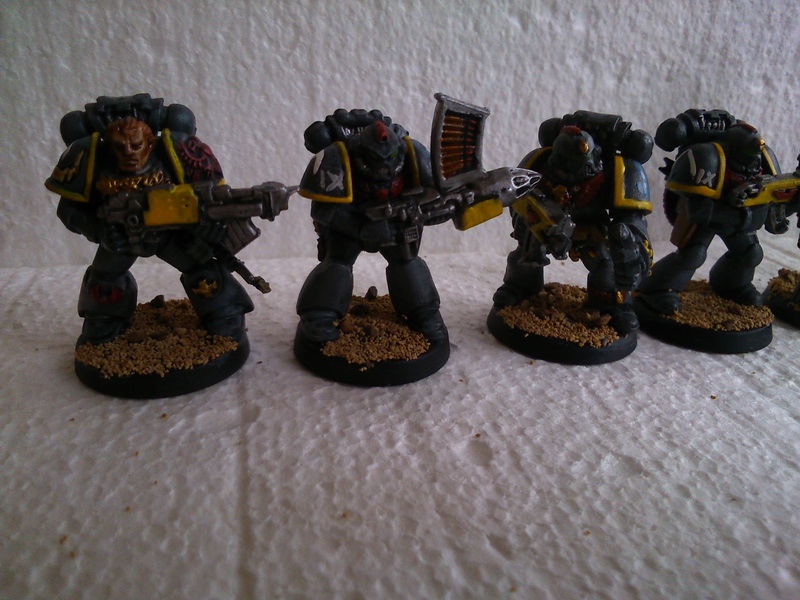 I’m pretty pleased with them, even though I know that not a great painter. One of the best things, for me, about this hobby, is getting better. 18 months ago, when I first picked up a paintbrush after 20 years away, I was rubbish. And since then I’ve gotten better, slowly yes, but every now and again I look at what I’ve painted and realise it’s better than I could have done a few months ago. 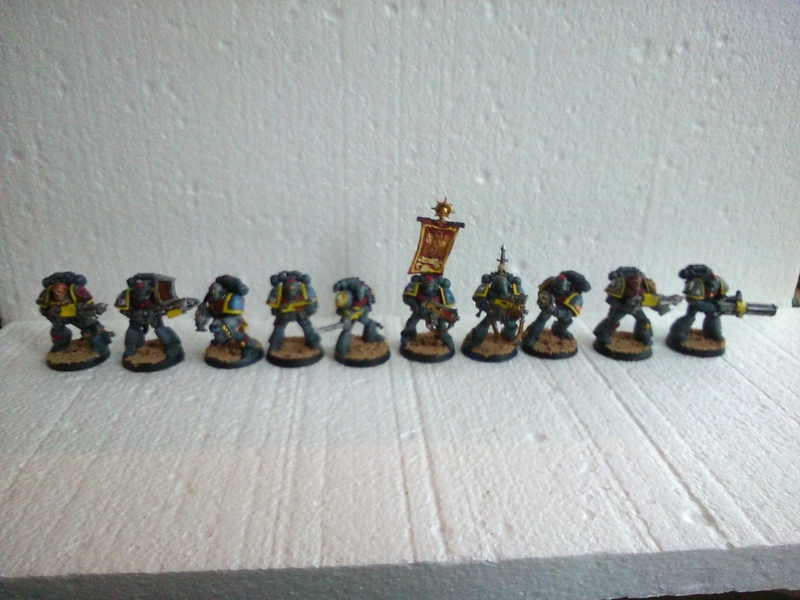 I’ve painted a few squads of my homebrew Marine chapter so far. 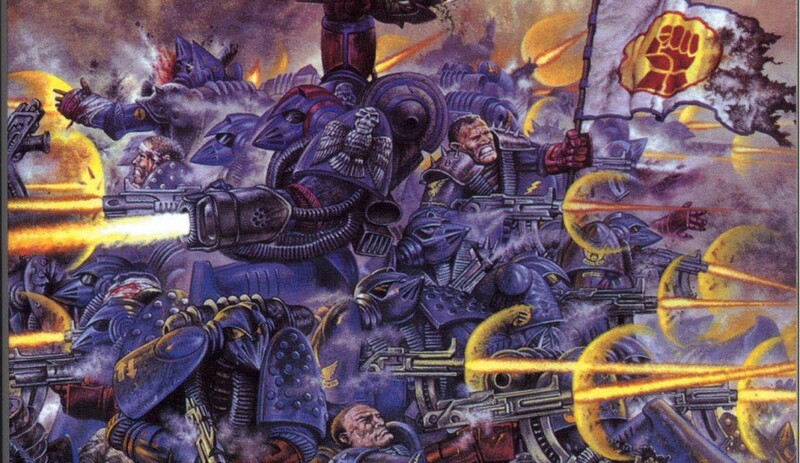 The chapter are called the Steel Guard, and the colours of grey, red, and gold, are supposed to be vaguely soviet in styling. I’m thinking that I’m going to use a lighter grey next time, see how that goes. So this squad is a nice mix of old and new. 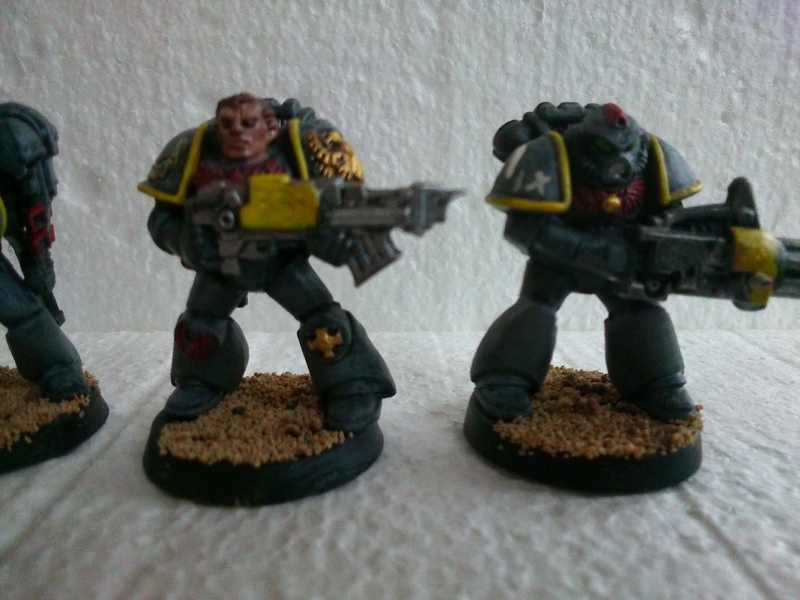 I love the Rogue Trader Marine that I’m using as the Veteran Sergeant. 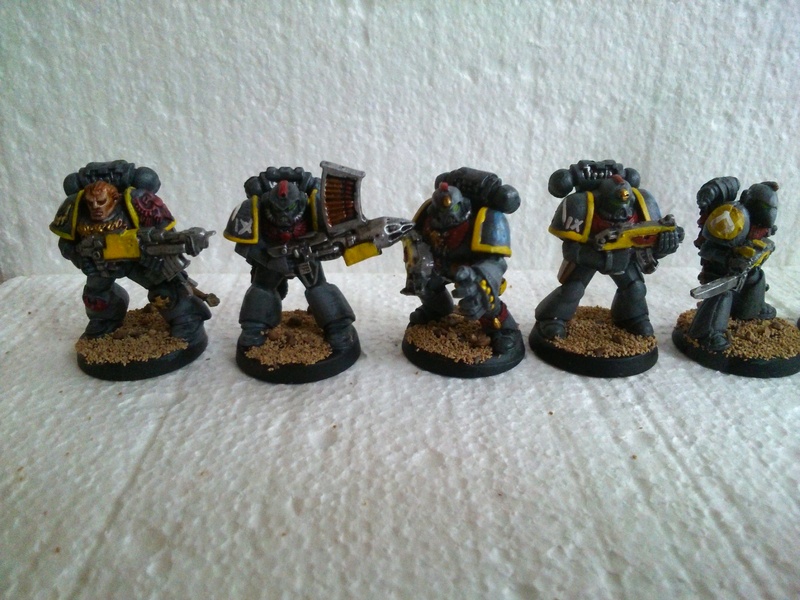 There’s also a metal Death Company Marine (with the power fist) and I’ve painted the blood drops gold, to tie in with the rest of the Steel Guard livery. 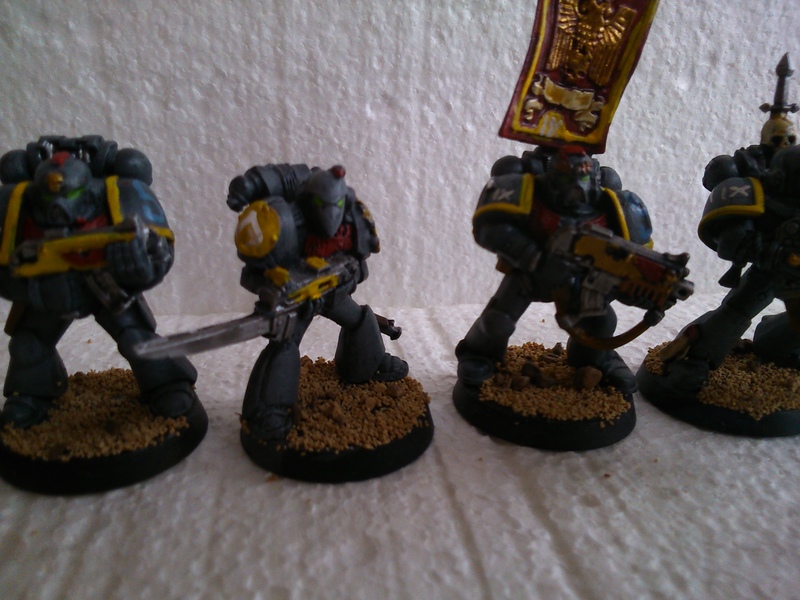 These are the Emperor’s Tears, awarded to Steel Guard marines for exceptional valour during defeat! 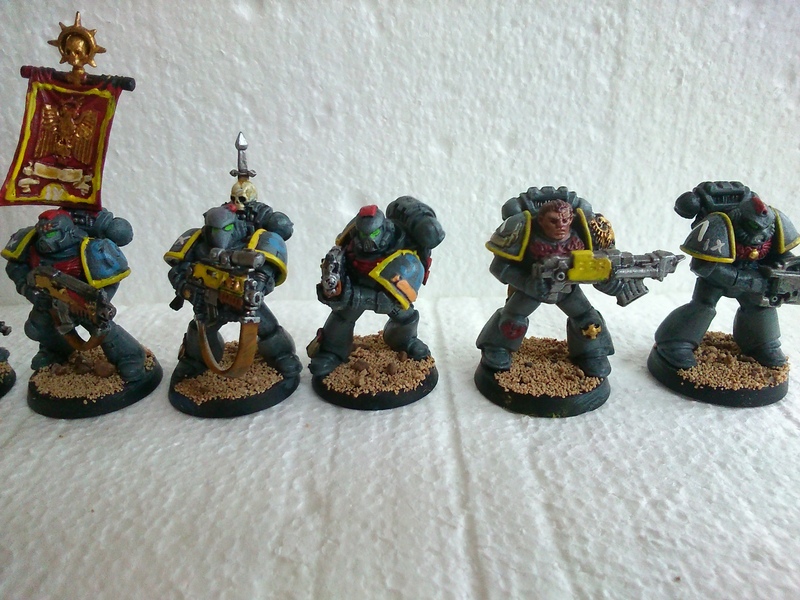 You’ll also notice that all four heavy weapons Marines are from Space Crusade. I’ve long had a soft spot for Space Crusade, and I think the molds are wonderful.